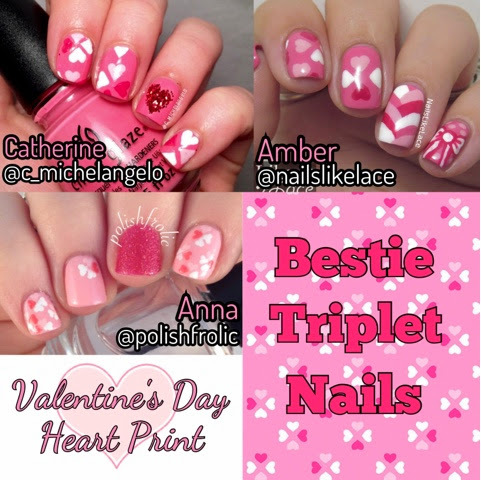 Today's mani is a collaboration with Anna and Catherine! 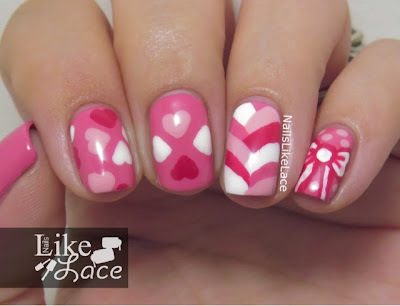 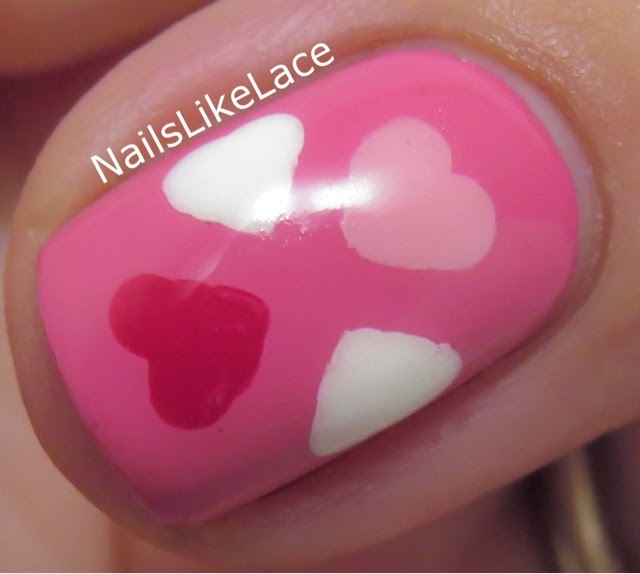 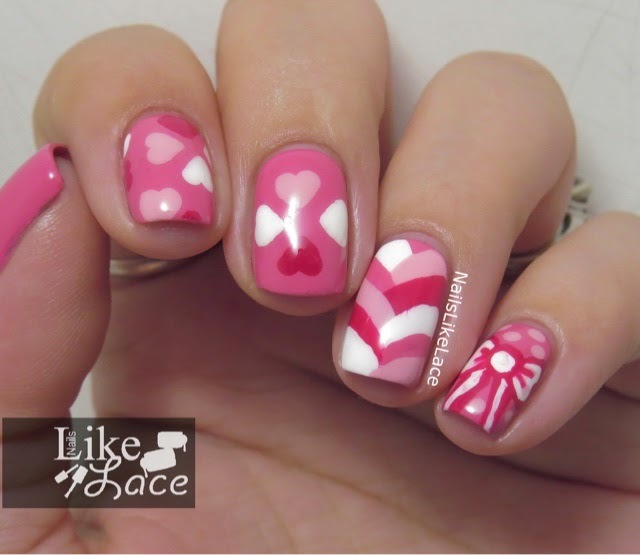 We used a heart print image as our inspiration for triplet nails. For my version of the design, from darkest to lightest, I used Zoya Dita, Sally Hansen Presto Pink, Sally Hansen Peach Babe, and Sally Hansen White On. 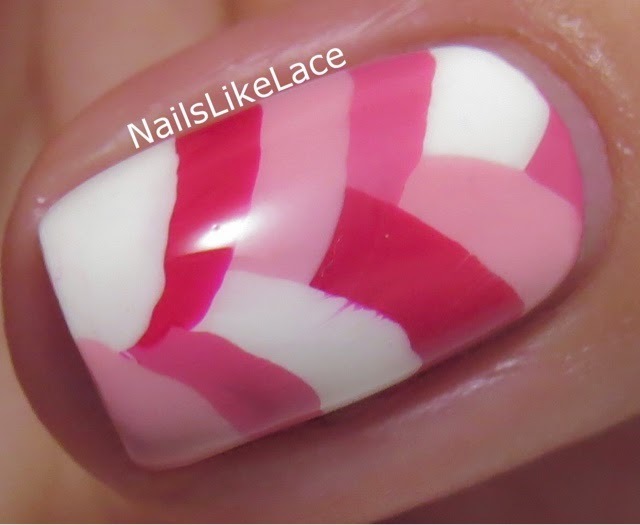 I love how all of our manis turned out, they each look really cute in their own way!